The 28-135mm f/4 G OSS is a power-zoom designed for filmmakers. An ideal match for 4K shooters using the Sony α7S II and α7R II cameras, its Super Sonic Wave Motor (SSM) is as quiet as it is precise. 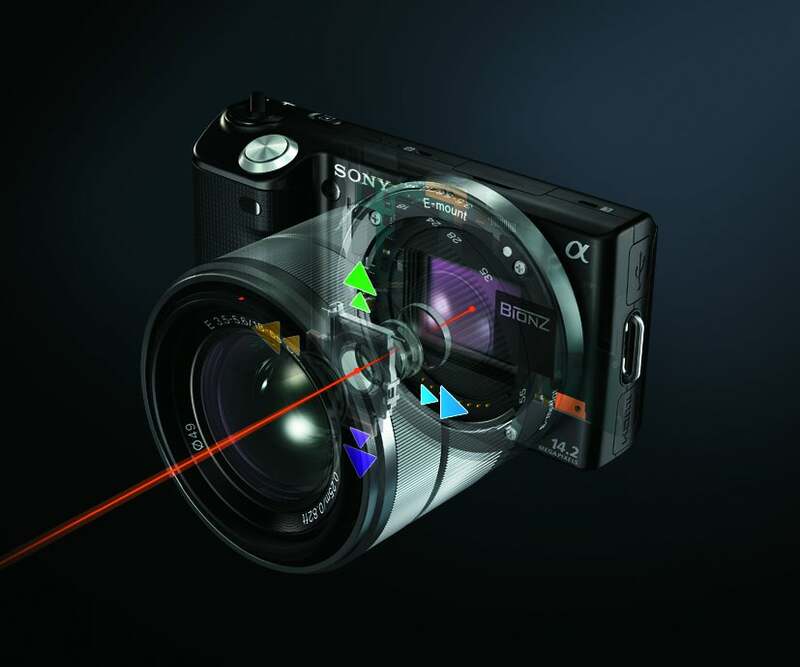 Inheriting technology from Sony professional equipment, the 28-135 incorporates a precision optical design with minimum breathing and image shift. This 28-135 is a professional-caliber tool for professional-caliber results. Like many Sony E- and FE-mount lenses, the 28-135 f/4 G (SELP28135G) is available at a special price during the 2016 Semi-Annual α Lens & Accessory Promotion. You can get it for $2,399 until May 14, 2016. “The Sony FE PZ 28-135mm f/4 G OSS Lens is truly a stunner. It comes with many very useful (if not essential) features for professional shooters and brings broadcast lens functionality into the full frame world at a compact size. “The Sony 28-135mm is a remarkable feat of engineering. It brings an ENG style level of operation to full frame Sony cameras like the α7S, as well as Super35mm cameras like the FS7, FS100/FS700. “There's no denying that the Sony FE PZ 28–135mm f/4 G OSS is a serious piece of kit. It feels the part, has the specs to back it up, and features all the bits and bobs that working videographers demand from their gear. 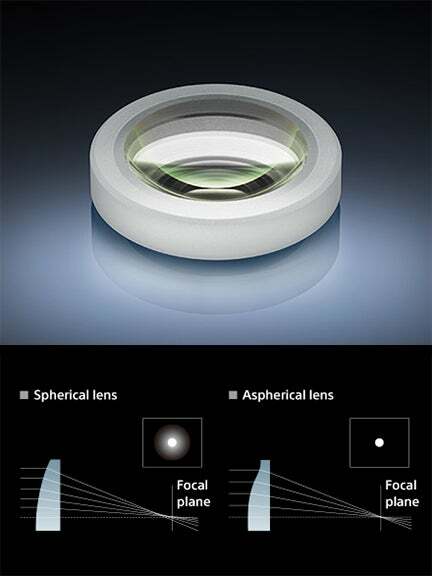 Independent control rings for zoom, focus, and iris (aperture) are provided for the first time in an α lens. The focus mode can be switched from auto to manual simply by sliding the focus ring forward so control is maintained at all times. Zoom speed can be precisely controlled over a wide range, with zoom rotation direction reversal capability. 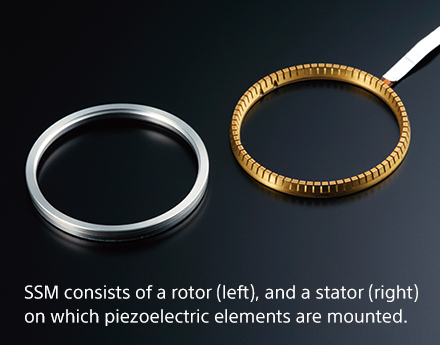 All three control rings have been engineered to provide ideal torque for comfortable, responsive operation. Even the pitch of the scalloping on the rings has been painstakingly designed for comfortable, slip-free control. When making movies you’re frequently focusing while shooting, either with autofocus or manual focus. A lens that hasn’t been designed with movies in mind might exhibit “breathing”, or variations in the angle of view while focusing which can be a jarring distraction. The SELP28135G features an optical design and control technology inherited from Sony’s professional camcorders that ensure no breathing. Zooming is a fundamental moviemaking technique that is used for both practical framing changes as well as creative effect. “Smooth” is the key requirement for video. Any tracking irregularities such as jitter or axial image shifts are unacceptable. The SELP28135G delivers exceptionally smooth tracking throughout the zoom range at any speed and eliminates any axial image shifting. Zooming is quiet as well as responsive thanks to advanced mechanical actuator design. This power zoom lens offers enhanced control and expressive potential for moviemaking, with smooth, consistent zooming that is difficult to achieve manually. Details like smooth acceleration and deceleration are important too, and of course tracking is excellent throughout. The SELP28135G features the world’s first SSM (Super Sonic Wave Motor) drive in a lens designed for moviemaking to achieve quiet zoom and extra-smooth iris control. The dust and moisture resistance design makes this lens appropriate for heavy-duty outdoor use, especially when combined with a camera that employs weather resistant measures such as the Sony a7 series of cameras. The middle AF group of the optical system is smaller, lighter, and easier to move rapidly to achieve focus, so the overall length of the lens does not change and the lens is able to achieve shorter minimum focusing distance. The filter thread at the front of the lens does not rotate, which is convenient if you’re using a polarizing filter. 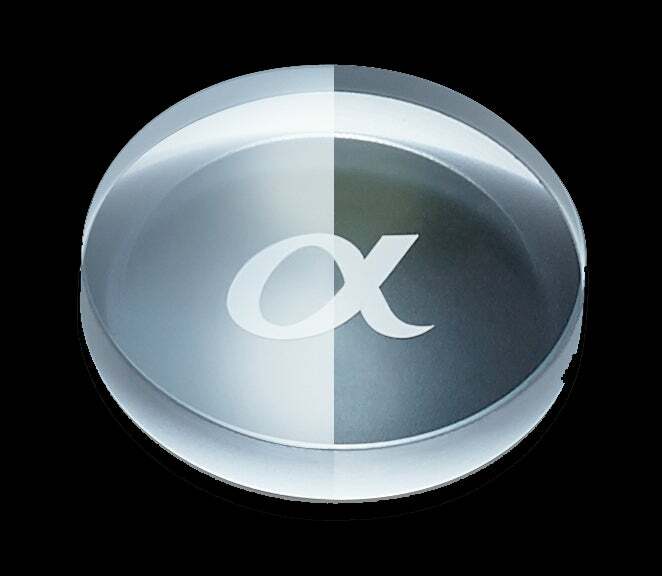 Effectively suppress reflections that can cause flare and ghosting with Sony’s Nano AR Coating technology. This precisely defined regular nano-structure allows accurate light transmission, contributing to high-quality images, even more so than lenses with coatings that use an irregular nano-structure. 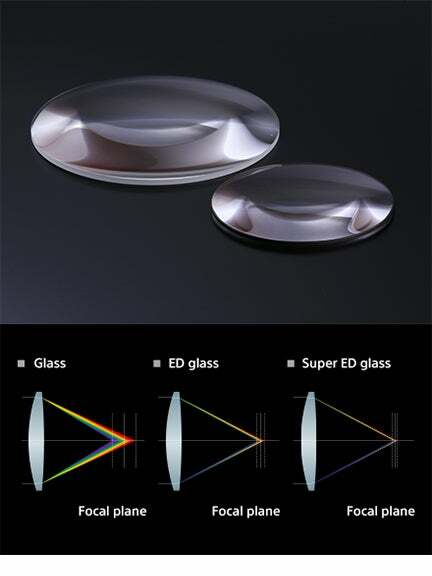 The reflection suppression characteristic of the Nano AR Coating is superior to conventional anti-reflective coatings, providing a notable improvement in clarity, contrast and overall image quality.